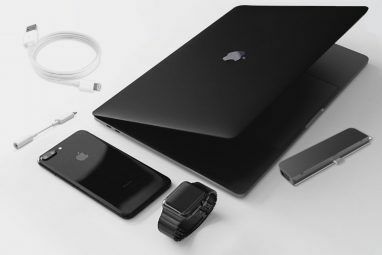 If you are a new Mac and iPhone user, you may not be aware of the hundreds of thousands of applications available for Apple devices. In my humble opinion, the best way to maximize the investment you make in a piece of Apple hardware is to load it up with applications that will make your life easier and more productive, and that might provide you a little fun and entertainment. The purpose of this article is to introduce you to the basic ways to browse and download apps for your Mac, iPhone, iPad, and/or iPod touch. 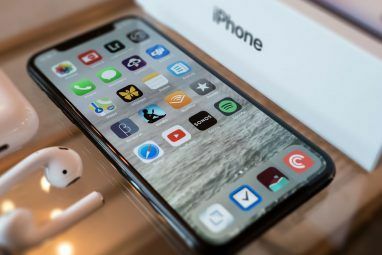 If you are an experienced user of Apple devices, you might want to pass this article along to beginners who might be bugging you about where to find the best and most popular apps for their Apple device(s). For Mac computers and laptops, Apple has set up an App Store portal that you can access on your Mac if it is running OS X Lion or Mountain Lion. Even if you don’t know which operating system you’re running, the App Store application can be found in the Dock on your Mac, or in the application’s folder. What’s great about the App Store is that all the applications have been approved by Apple, and all the programs you download are permanently added to your account. So if you accidentally trash an application you downloaded from the App Store or if buy a new Mac computer, you can re-download the applications in your account at no extra charge. In addition, when developers release updates for their applications, you can add these updates from the App Store, also at no extra cost. There are thousands of apps in the App Store, so one way to browse the content is through choosing categories of interests, including Business, Entertainment, Lifestyle, Photography, Social Networking, and Video. For the Mac App Store, you will need an Apple account that includes your credit or debit card. If you have not set up such an account, you will be asked to do so when you first try to download a free or paid application from the Store. Read my article about how to get started using the Mac App Store Twitter for Mac and the New Apple App Store [Mac] Twitter for Mac and the New Apple App Store [Mac] Read More , and also my 8 tips for getting the most out of the Store 8 Tips On Getting The Most Out Of The Apple Mac App Store 8 Tips On Getting The Most Out Of The Apple Mac App Store I've been downloading, using, and reviewing Apple software and third-party related software for over ten years, and I have to say that the new Apple Mac App Store is probably one of the most convenient... Read More . I highly recommend that when you’re considering purchasing paid applications that in addition to reading the customer reviews and ratings, you should also visit the developer’s website to view demo videos and get other information about the application you’re planning to purchase. Most developers also provide a trial download of their applications, which means if you decide to purchase their app, you can make a payment directly to the developer, or downloaded it, if available, from the App Store. As you have probably noticed by now, MakeUseOf also regularly publishes reviews and how-to’s of both Mac and PC applications. Visit our Best Mac Apps page to browse the broad categories of recommendations and reviews about applications that fit your needs. Mac applications can’t be downloaded and run on the iPhone or iPad because they use a different operating system called iOS. However, Apple and third-party developers do make versions of the applications for both the Mac and Apple’s mobile devices. For example, there is a version of the Safari web browser for the Mac and and slightly different one for iOS devices, though they both very much the same. The only place you can download an iOS app is from the iTunes App Store. You cannot purchase iOS apps directly from third-party developers. You can visit, browse, and download apps from the App Store by tapping on the App Store app installed by default on your iOS device, or through the iTunes application on your Mac. 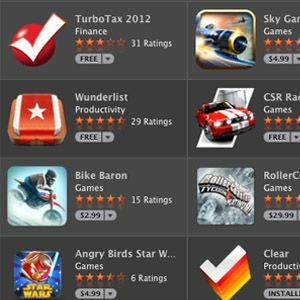 Similar to the Mac version, the App Store introduces you to the featured and newsworthy apps, as well as a dozen categories of applications, and Top Charts app that you can browse based on your interests and needs. The iOS App Store will also notify you of updates you have downloaded to your iOS device. It’s a good idea to pay attention to the updates because they often include bug fixes and new app features that you will want to take advantage of. As with the Mac App Store, you will also need an Apple account that includes your credit or debit card. The password you use for your Apple account can be used both in the Mac App Store and the iOS App Store. 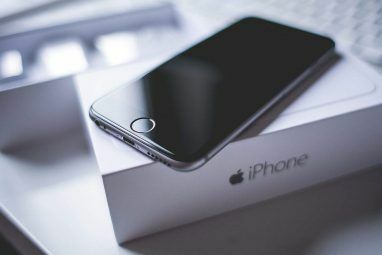 You cannot download trial versions iOS applications, but many developers either provide their applications for free, or provide Lite versions, which include an app’s basic features. Developers also release free ad-supported apps. Though most apps only cost five bucks or less, take some time to read the customer reviews and ratings to get an idea about the pros and cons of the app before you purchase. I also recommend that you visit a developer’s site to view app demos and get other information. iOS apps constantly get updated, and in most cases there are several apps created by different developers which include similar functions and features. MakeUseOf’s Best iPhone Apps, and Best iPad Apps pages also feature links to full reviews and recommendations for both free and paid applications. (Note: most non-phone related apps that run on the iPhone can also run on the iPod touch. And many iPhone apps also get optimized for the iPad.) MUO also regularly publishes articles featuring “best of recommendations,” such as my Top 10 Apps for 2012 From ProCamera to Paprika: My Top 10 Favorite Apps for 2012 From ProCamera to Paprika: My Top 10 Favorite Apps for 2012 Following an annual tradition I started last year, I would like to take the opportunity to highlight the best and most useful apps from this past year. By now we all take for granted how... Read More , and Apple’s own 2012 Editor’s Choice Awards. If you’re a beginning Mac or iOS user, let us know what questions you have about finding and downloading applications. We also invite you to regularly check out our site for daily reviews and how-tos of free and modestly priced applications that you can download. Explore more about: Apple, Mac App Store. mac app store is really good, but there is a chief problem, you cannot search the app store by price, free or paid. Windows 8 store is good in giving those options. By the way i have seen those best mac apps in make use of category, but they are not good as windows..lots of work still needs to be done, just my opinion. Keeping the mac app store aside, what software portal do you recommend to search for apps, open source would be awesome? many thanks for the article, just what I need, since my wife has an iDevice and I'm an Android'er :) Sometimes she needs tech help from me but I don't know iOS well. Thanks. Thanks for the feedback, Nevzat. Your wife is just a type of iOS and Mac user that this article is geared toward. Glad you found it helpful.